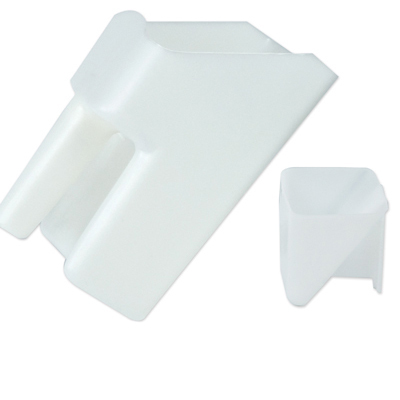 HDPE Small White Scoop 3" x 2 3/4" x 3" | U.S. Plastic Corp.
HomeFood Industry Scoops All Purpose Plastic Scoops HDPE Small White Scoop 3" x 2 3/4" x 3"
HDPE Small White Scoop 3" x 2 3/4" x 3"
For your dry or liquid products. Polypropylene, or high density polyethylene, practically unbreakable, will not crack or corrode. Unaffected by chemical action or temperature change. Color white.The large scoop has a snap-in cap to prevent material from going into handle to preserve the integrity of the measurements. PP Large White Scoop 9 1/4" x 6" x 5"